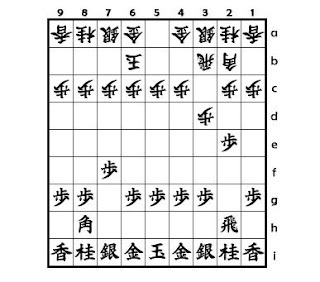 Yamajunn's Shogi opening traps: Niteme San-Ni Hi senpou , part 1. Niteme San-Ni Hi senpou , part 1. 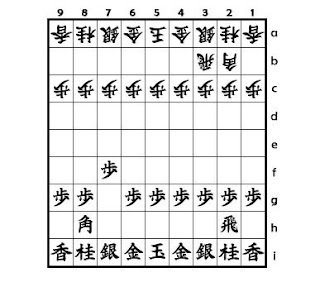 Shogi Opening traps : Niteme San-Ni Hi senpou , part 1. Gote's 1st move 1...R-3b seems to dangerous move , because Sente feels 2c square is easy to break . If Sente directly aims to break 2nd file with P-2f , how the game advances ? Against Sente's advancing 2nd file Pawn , Gote opens Bishop line with 3...P-3d after 2...K-6b . In the diagram 2 , Gote's 2nd file still seems to easy to break . If Sente pushes P-2d , how Gote plays ? Against Sente's 2nd file Pawns exchange , Gote exchanges the Bishops and immedialy drops his Bishop on 3c . This Bishop drop is forkinf 2d Rook and 8h Silver . To defend both Rook and Silver , Sente must backs his Rook to 2h . Gote drops a Pawn with 7...P*2f . 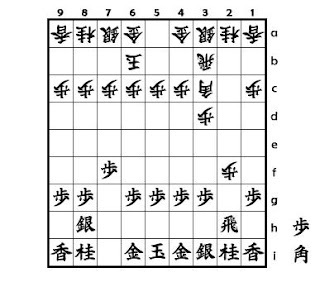 Sente can't capture this Pawn , because 8h Silver is protected by the Rook's power . This is because Sente can't break Gote's 2nd file .